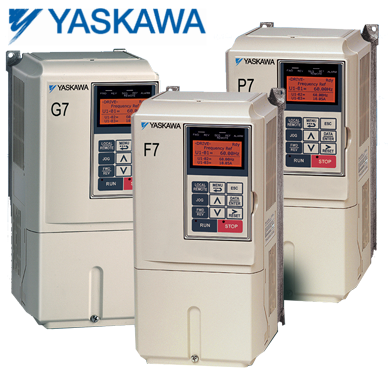 We can sell, service, start-up, and repair the entire Yaskawa VFD product line. We have extensive design and start-up experience with all Yaskawa VFD products both their AC drives and their servo drives. Below is a partial list of the Yaskawa units we have worked on. We are constantly working with the Yaskawa Factory to ensure our technicians and programmers are well versed in the newest Yaskawa drives products for all Yaskawa VFD repair issues. Be sure to contact us for any application, sales or service questions you may have. We sell many Yaskawa drives as well as ac servo drives so call us to compare pricing if you feel you have been paying too much. Call and ask for sales at 1-800-681-7374. Call us today at 1-800-681-7374 for all you Yaskawa vfd and Magnetek vfds, and vector drive needs today. Don’t forget we are authorized by the factory to do warranty repairs and startups on new equipment. We may have a Yaskawa vfd drives manual, or a Yaskawa vfd technical handbook, or a Yaskawa vfd technical guide book. Call us today! 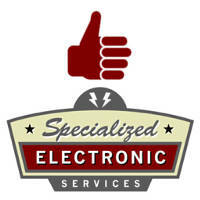 SPECIALIZED ELECTRONICS SERVICES IS THE NUMBER ONE PLACE FOR ALL YOUR AC DRIVE SALES NEEDS. We will work hard to get you the Yaskawa drives you need.